Unexpected repairs in a house can drain its owner's budget. 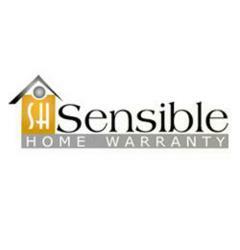 Sensible Home Warranty offers some helpful advice to homeowners on how they can choose the right home warranty company to save them from costly repair woes. This is why unexpected repairs of a part of a house or of appliances can deal a major blow to the family budget. Home warranties essentially provide a cushion for this blow, allowing homeowners to address these issues without draining their finances. The purchase of a house is probably the biggest investment a family can make. This is why many property investment experts often advise prospective buyers to be diligent in choosing which house to purchase. Often, prospective home buyers start the buying process by narrowing down their list according to criteria like location and affordability. This is followed by doing the paperwork related to financing and then an actual inspection of the home the buyers intend to buy. More often than not, many homeowners do not pay adequate attention to this crucial step, discovering major flaws and issues that they did not see prior to the purchase (but cropped up after the deal has been sealed). This is the reason why many property experts recommend investing in home warranties. After purchasing a home, many families have their finances drained. This is why unexpected repairs of a part of a house or of appliances can deal a major blow to the family budget. Home warranties essentially provide a cushion for this blow, allowing homeowners to address these issues without draining their finances. Home warranty company Sensible Home Warranty offers the following advice to prospective home buyers. The first factor prospective home buyers should look for when choosing a home warranty firm is its trustworthiness and reputation. Getting a home warranty is an investment. And just like any other investment, investors should practice due diligence before they entrust their hard-earned money. Home buyers should first look for a service provider's registration, licensing status and even its reputation. Second, home buyers should read between the fine print. According to Sensible Home Warranty, this means doing research about repair and replacement policies, terms of service and conditions to qualify, and fees and hidden charges. Quite often, when homeowners avail of a home warranty for their property, they simply look at which items are covered. It is a prudent move to make sure which models and makes of a particular appliance are covered in the plan they are interested in. They can also benefit from knowing whether the service provider will replace the defective item or if they will only cover the replacement of malfunctioning parts. Different companies employ different policies regarding their service. Some companies require a specific time frame before their policy becomes active while some take effect immediately. Still, there are those who factor in the age of the house or appliance. It would also be a good idea to choose a home warranty company that offers 24/7 service since problems in the house can occur at times when you least expect them to crop up. Finally, home buyers should fully understand the pricing scheme that a home warranty company offers. Many homeowners are lured into availing the service of a company because of the lower price it offers for its services. However, home buyers may find themselves paying a higher price when signing up of the service because of their failure to detect hidden charges. "There is nothing more devastating than a surprise repair or malfunction in your home that can cost thousands of dollars. When you have a comprehensive home warranty, you can trust your budget and if some unexpected malfunction should occur, you will be in the best of hands," a representative of Sensible Home Warranty explained.